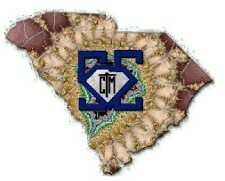 The MathMate is the official journal of the South Carolina Council of Teachers of Mathematics. The issues are designed to feature articles about innovative mathematical classroom practices, important and timely educational issues, pedagogical methods, theoretical findings, significant mathematical ideas, and hands-on classroom activities and disseminate this information to students, educators and administrators. Submissions received by Nov 1 will be considered for the January issue, and March 1 for the May issue. (see top of page 127) the primary author of a referred journal article can earn 60 renewal credits.